It’s a corny lead-in but the Canucks genuinely are having a season resembling the hits of Mumford and Sons. Getting waxed in the preseason, it felt like this team was going to be exactly like its predecessor from a season ago: a “Hopeless Wanderer”, a dud with little hope aside from the debut of Elias Pettersson and the continuation of a flow-like Brock Boeser traveling through yet another season with a cup over their fire. Ups, downs and almost everything in between, this Babel-like season is removing the mask from its face to show what true identity has been hidden, it’s better than we thought. Feeling all warm and cushy after a couple of impressive Canucks wins gets everyone in the feels and yours truly is not excluded. I’ve also been on a bit of a Mumford kick lately and it’s funny how some of their songs resemble the first third of the season. 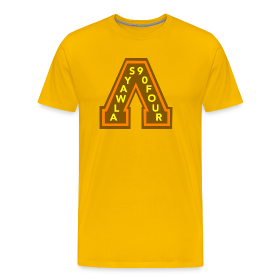 MAS no doubt had a cult following before they made it big and like most sports teams the same can be said. So what makes these two so similar? Is it the catchy choruses that relate to the latest flavour of the month EP40, the relatively short catalog history of four albums or three trips to the Stanley Cup, or is it the numerous hits that have won awards as the Canucks have trotted out award winners in various categories? All of these are true to a certain degree. HOPELESS WANDERER – This track is a direct hit to how the Canucks season has gone so far. “You heard my voice, you came out of the woods by choice”. We all knew what to expect when the season started, mostly not a lot. There was excitement from the super rookie to look forward to, the promise of an eventual quarterback on defense in Quinn Hughes, and a healthy Brock. The defense came back the same and there was no reason to think Erik Gudbranson would be, well, good. “So leave that click in my head, I will remember the words that you said”. The players know what’s said about them and they knew what we didn’t. The addition of Jay Beagle and Antoine Roussel was delayed which gave others the chance to step up, like Nikolay Goldobin Adam Gaudette, and somehow, Bo Horvat. Vancouver came out of the gate 5-5 with a lot to talk about, namely the Alien, Elias. Pettersson led the Canucks in goals right off the hop with five tallies and eight points in only eight games played. “But do not tell me all is fine, when I lose my head, I lose my spine”. His concussion scare seemed like a cruel joke, Canucks fans never get nice things for too long, but he came back and has throttled the NHL rookie race ever since. In the midst of that, Vancouver couldn’t figure themselves out and wandered aimlessly trying to find a fit that didn’t include EP40. They’ve given up countless chances to win and even had a run where wins were mirages. But there was #Shotgunjake and there was a wave that traveled through the NHL that many Canucks fans had never seen. This time, there wasn’t a hopeless feeling anymore. There may be tons of losses to come but this road has been shared and as long as they fight the way they have, there is hope. Seeing the Canucks sit at the bottom of the NHL standings yet again, has a familiar warm feeling. The rebuild is still going strong with no end in sight quite yet but it has a feeling of ease for whatever reason. Have we all accepted our fate as fans and embraced the long road? The Canucks aren’t hiding anything. What you see is what you get. They’re predictably unpredictable in the fact we know that we have no idea what we’re in store on any given night. As the losses mounted it felt inevitable we’d accepted this team would drop to the bottom and then even with a few victories, hope had been restored. 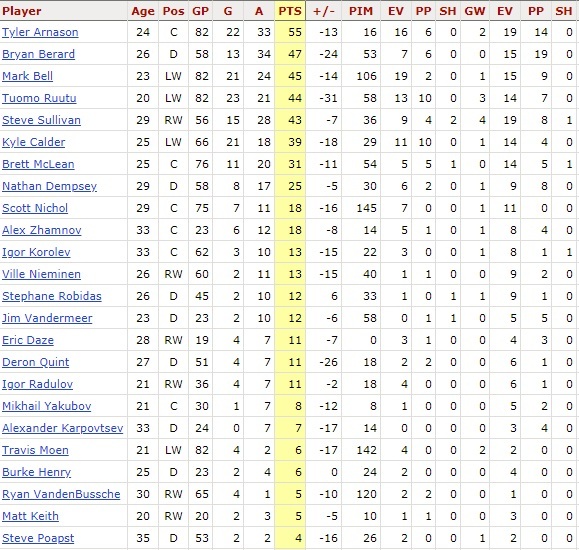 Wondering how in the world would this team survive 82 games seemed like one of life’s great mysteries but Bo Horvat has led his team away from the cellar and they’re slowly climbing the stairs. They’re scoring around three goals a game while also allowing around the same amount, the PK isn’t perfect, and the power-play is awful. They’re about where we all thought. The walls on their special teams are indeed crumbling down and as our hands are raised in frustration, the answers have come at even strength and it feels like eventually, it’ll be ok. In year seven of the “rebuild”, there hasn’t been a steady climb out of obscurity and even with Bo Horvat, Brock Boeser, Elias Pettersson, Troy Stecher, Quinn Hughes, and a goalie of the future Thatcher Demko, the needle hasn’t moved a whole lot. This team is younger and faster but is it really any better? It isn’t a Cup contender yet and making the playoffs is wishful thinking, not out of the question, but a long shot. It’s been this long so continuing to patiently support the change will have to do. You’re either still in or you’ve jumped ship. The product has been more watchable than its been in years with less to show at the end of the day. 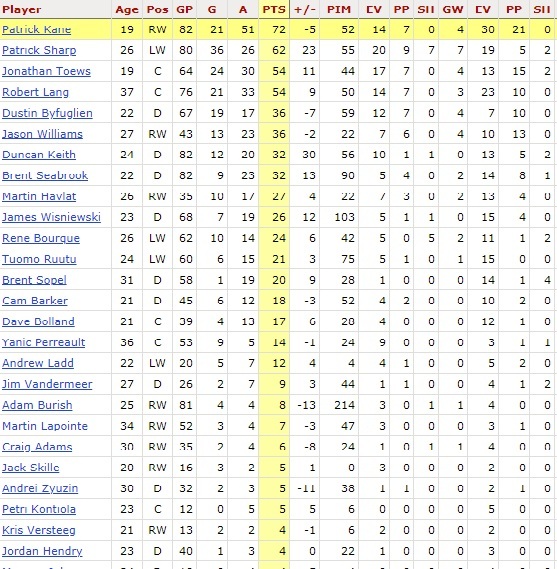 The Sedins are gone, as is Roberto Luongo, and depth makes up most of this roster. There are but a handful of difference makers and even then, only three of them are actually making a big difference. “Waiting” should be their new slogan. The affirmation that the worst is over for the Canucks culminated in a 60-minute display against the Pittsburgh Penguins on Saturday night. All the talk about a rebuild, whether it be capital ‘R’ or lowercase ‘r’ may have just come to rest after the final buzzer at Rogers Arena. This “rebuild” or “restructure” or whatever the heck you want to call it took a monster leap forward when 2015 first round pick Brock Boeser had the game of his life versus the Penguins and assured management, fans, and the media that the Canucks might indeed be ready to rise again. Canucks management never wanted to admit their team had hit rock bottom and needed to be rebuilt from the ground up. They made numerous decisions to try and mask the obvious problem that was in front of them. They threw money at the wrong players, offered lengthy contracts to aging veterans and drafted project players when NHL-ready talent was available. The official rebuild wasn’t even a thing until just under a year ago. Even with Bo Horvat climbing the ranks to become the team’s eventual top center and Captain, there were other issues the Canucks weren’t addressing. One of them was former coach Willie Desjardins. It was pretty evident Willie had checked in the final year of his deal but if he was anticipating signing on somewhere else would he have not wanted to show he can lead a team forward? Desjardins went away from structure, line-matching, and youth when he let the Canucks unravel. Willie continued to use the Sedins as top line players when it was clear they were getting beat on the ice night in and night out. The power play failed because the coach failed to see what options he actually had. Running an aging Ryan Miller into the ground when fresh, young, talent like Jacob Markstrom was waiting to be tested was just another example of how this team needed to address change immediately. Desjardins was let go, Travis Green was brought on and one of the most important parts of the rebuild had been fixed: a coach that knew how to deploy an effective lineup. Brock Boeser – He leads the Canucks with 13 points, he’s tied for 41st in league scoring, needing only 3 points to be tied for 11th overall in the league. To add to his impressive rookie campaign, he’s done all this playing two fewer games than his teammates after sitting out the season opener and the next game in the press box. The accolades seem endless having the 9th highest P/GM rank in the league with 1.30, and 2 GWG which has him in a tie for 8th overall. That’s not taking into account his rookie status compared to his peers vying for the Calder. Boeser is in the top 3 in most of the rookie categories and November just started. Brock has given the Canucks a weapon they have not possessed in many years: a true sniper. If you asked Markus Naslund who had a deadlier shot between the two of them, he might have a tough time picking himself. Boeser’s shot is accurate, it’s fast, and boy is it heavy! He’s felled a few players this season with just a wrister, something Sami Salo needed a full slap shot to achieve. In the latest Provies written by Jason Botchford of The Province, we found out just how complex Boeser’s game really is in relation to pushing and pulling shots through traffic and using his linemates to the best of his ability. He’s a star and it’s not even close. Combine that with Bo Horvat and Sven Baertschi making up the NEW Canucks top line and this team looks like it’s in good hands. The second thing that will define this team is the commitment to having the right players on the ice in all situations. Willie Desjardins subscribed to essentially rolling four lines and it didn’t work out well for him. Coach Green has seen that matching Brandon Sutter and Derek Dorsett, two players many thought shouldn’t even be on this team, against opposing team’s top lines has proved effective. Green has preached a team defense for this year’s Canucks and the proof is in the pudding… err stats. Vancouver currently is tied with San Jose for allowing the least amount of goals in the league with 30. 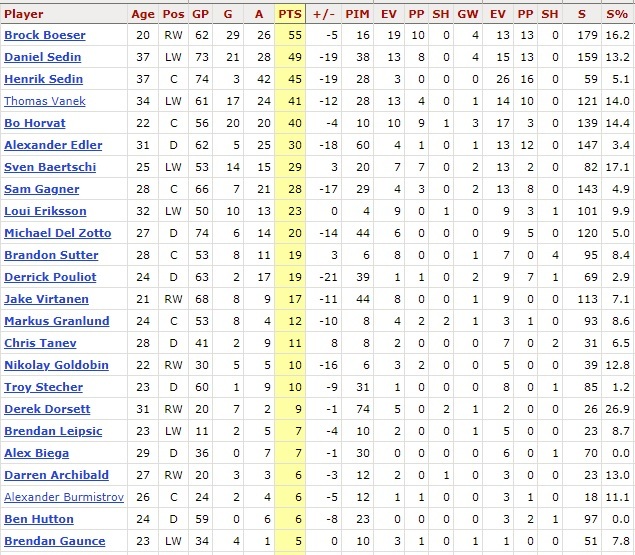 A year ago, somehow Vancouver allowed 27 but they only scored 16 compared to this season’s 35. Defensive scoring is still a problem but that could get ironed out if the forwards allow the defense to take more chances without paying for it in their own net. The power play has seen a revamp and still, isn’t perfect but having Brock at the shooter position will get results sooner than later. Last season, there was no visible evidence the team could produce a power play that kept opponents honest. This year, despite the 5th worst PP% in the NHL, the results are starting to build. Again, Boeser is a key cog in this machine and the better he does, so will his team. Making sure players like Michael Chaput and Jayson Megna aren’t the first callups is a good way to ensure this team progresses. Finally, the Canucks’ stable of young prospects and early year players will define where this team goes. Rushing Jake Virtanen and Jared McCann into the lineup early on proved to be a bad idea and because of that, McCann was sent packing. Virtanen was given a year to figure out his game and grow in the AHL and he has impressed many so far. This wasn’t a play he would have been confident making a year ago. Jake has progressed and can be groomed to become an effective power forward. Prospect Kole Lind of the Kelowna Rockets is having a season to remember in junior. Lind is averaging 1.64 points per game this year and is getting it done in all situations. He’ll be a name to watch next season and might just get a chance to make it to the big club. 2017 first rounder Elias Pettersson is doing his own damage in the SHL across the Atlantic. With 17 points through 15 games, he too will have a legit shot at making the Canucks next year and many believe he could be the best player from his draft class, bold statement. Ryan Biech from Canucks Army posted this tweet based on Jeremy Davis’ pGPS map and looking at the players being compared, his career might be bright. Based on Pettersson’s 2017-18 production… there is 100% success rate. I could go on about Thatcher Demko, Jonathan Dahlin, and even Nikolay Goldobin and I know I’m leaving out a few, but there are players that are going to replace the Sam Gagner/Loui Eriksson/Brandon Sutter group. The Sedins might just be on the way out at the end of the year and Green can truly put his stamp on what this team will achieve. The rebuild, as far as I’m concerned, is complete. The pieces are in the system so the true definition of what the Canucks are is up for interpretation. Breaking apart the entire organization get to this point was definitely close but some of the unforeseen success has fast-tracked the Canucks to become competitive again. Apparently, compete IS in their nature. Aside from fast-forwarding five years in the future, there isn’t an instant fix to getting the spark back when it comes to the Canucks. The last era of the Canucks began its ascent around 2006 and the pinnacle as we all know was in 2011. That era wouldn’t have existed if it wasn’t for the one right before it during the West Coast Express run and it began forming a reality when the Sedins were drafted in 1999. What the Canucks DO have in their possession are many successful models that have preceded them both in their own organization and in the rest of the league. The current lineup isn’t all that enticing and the prospects that are developing won’t truly come to fruition for a handful of years still. In typical Canucks fashion, management has a flair for the dramatic and that might just be what this team ultimately needs. We get it, Alex Edler doesn’t want to leave. He said he wants to see the rebuild through and although that’s quite noble, that’s not how these things work. Edler has worked to get an NTC and he has every right to use it but the NHL has burnt itself by having this as part of the CBA. A modified version should be discussed in the next go around but that’s not what we’ll discuss here. Chris Tanev needs to be moved before his modified no-movement clause kicks in July 1. The Canucks need to keep the ball in their court and maximize whatever power they have while the getting’s good. There have been rumours the Canucks could make a pitch for Jonathan Drouin in Tampa and everyone loves a change of scenery reclamation player. It frees the team of broken sticks and injuries that seem to be more common than not. Trading either/both of these players is a significant move in the rebuild direction, happens all the time. At some point, they’ll both be moved anyway so why not actually get something for them? Vancouver has always made a splash in the trade market when no one is paying attention and it’s possible they set the summer up with the first domino. Again, the Canucks usually get “their” guy but it’s been pretty obvious their guy is the wrong one. Loui Eriksson was a terribly kept secret and despite articles that myself and other Canucks blogs have published, he isn’t a long-term fit in Vancouver. T.J. Oshie might not be a home run either but offering short-term big money can give the Canucks a more reasonable threat up front and balance the top two lines to the degree people will actually notice them. Keeping Ryan Miller for another two years isn’t a splash but it gives him stability for his family and it would be silly to pull the plug on a guy after he finally has shown results. Kicking him to the curb just starts the process over and it’s unlikely Jacob Markstrom can handle the load as the number one guy. At some point, Thatcher Demko will be ready to take over and two years from now he should be groomed well enough to make a charge in the NHL. Going the offer sheet route is dangerous and can potentially create some enemies, which again points to making a splash via the trade market. Jim Benning has better than good rating as a trade partner, not great, but better than good. Hopefully, someone needs a defenseman. There seem to be a plethora of players at the 5th spot and the names could change instantly with the parity that are picks 3-10. Nico Hischier would be the guy I can see Vancouver targeting which probably means they’d need the first overall pick to solidify their player. If taking Hischier isn’t a reality then snagging another top-10 guy should be. It’s not a secret a few of the teams in the top five are shopping their pick. Why not take advantage of teams that don’t necessarily need the players the Canucks clearly do? Every GM before Benning in Vancouver has worked some magic at the draft and this feels like a good time to put his signature on this team. Acquiring a center and a defenseman would be a shrewd move and with the players mentioned above, Benning could send one of them away to get a stud that can help the team move forward. Olli Juolevi has a shot to make the Canucks this October and he is just one year removed from his draft year. Talent and circumstance have created an opportunity and freeing up at least one older guard get the team that much closer to contention. I’ve heard there are some Kelowna Rockets that potentially could be had in the second round, just saying. It’s already been designed and I don’t believe there has been a release date for the new Adidas NHL jersey but creating a demand for the new jersey and all the merch that goes with it keeps the spark alive. When the team released the current version of the Orca when the Reebok Edge uniform came out, it was the middle of summer but the fans ate it up. With no alternate this season, the Canucks will need to be relevant once again to get back their fashion crown. The shame is there are so many other versions and color schemes that the Canucks will never have the look/feel that Edmonton, Calgary, Washington, and so many other teams get when they trot out one color and one color only. If Johnny Canuck has arrived, fans will be able to tolerate a less than exciting product on the ice if they feel they look cool off it. Play the kids… ALL OF THEM! The Oilers did it, the Penguins did it, heck Calgary has tried their hand at the youth movement and wouldn’t you know it, it’s paying off! There are arguably seven or eight prospects and current young stars that could occupy spots on this team. If Vancouver is going to lose at least let us watch the players we want to see. Brandon Sutter is the opposite of flashy and he’s a liability as soon as he arrives at Rogers Arena. Luca Sbisa has a good shot at being claimed by Vegas, Alex Burrows and Jannik Hansen are now gone and going the PTO direction again isn’t going to happen. The fans don’t mind a team that tries, or at least LOOKS like they’re trying. Travis Green has seen a handful of the players related to this topic and there may be some talent we don’t know exists yet. Play the kids and bring on the actual rebuild, no more lip service. The summer is long and staying relevant to Canucks nation will be a challenge this year but the Canucks have the tools to make the team fun again and some of the solutions aren’t all that hard. Like a spooked 16-year-old on the family computer at 12:30 a.m, the Canucks need to hit ctrl+alt+del on the 2016/17 season. It started better than anyone thought, going 4-0 out of the gate and then it nose-dived to reality losing nine straight after that. There hasn’t been a long enough stretch where everyone can step back and say “Hey, this team will be ok.” It’s over and we all know it. Shuffle the lines, call up whoever’s left and start accumulating draft picks. After losing to the reigning Stanley Cup Champions, the Pittsburgh Penguins, it was fairly clear the Canucks aren’t in the same league right now. The Sedins were outplayed, they didn’t have Bo Horvat or Brandon Sutter, Ryan Miller despite his efforts was left for dead and Alex Biega was used as a forward. Things have taken yet another turn for the worse. Last season, that would have been ok because there was a pretty significant reward had they lost at the right time. This year, they won’t be bad enough to have a legit chance at scoring Brandon Wheat Kings star Nolan Patrick. In typical Canucks fashion, they’ve shot themselves in the feet again. For whatever reason, the obvious temporary answers ON the ice aren’t being addressed like making Horvat or even Sutter the top centre. Markus Granlund has emerged as a valuable depth winger that can be used anywhere, much like Jannik Hansen. If they have two of the same player, that makes one expendable. I love Jannik, I really do. He has always been heralded as potentially the hardest working player on the team for many years and he’s the only player that seems to understand Sedin hockey. He doesn’t want to leave and if management asks him the fallout won’t be pretty. Here’s the thing, though: he brings back realistic future value. The downside is that this year’s crop of players isn’t exactly deep so after the first round, what is there to really get excited about. What is there to even get excited about in the first round itself? There isn’t a deep prospect pool ready to overtake the current Canucks roster so the rebuild we all know and crave won’t be complete after this year or even the next two years. Are we really going to be ok seeing Hansen, Burrows, or even Ryan Miller shipped off to the ends of the earth? Compound that with the expansion Vegas Golden Knights (are they still called that?) and the landscape changes dramatically. All signs are currently pointing to Brock Boeser signing with the Canucks after his season ends in North Dakota so they could have an impactful goal scorer sooner than later. Vancouver still has Jake Virtanen but even HE isn’t quite sure what the Canucks want out of him. This season has been clouded with half-truths and they haven’t even spun the situation to a place where they have people on their side. The deployment of less than sufficient lineups (Alex Biega as a forward, Anton Rodin as … a hurt bench warmer?) has cost them a few games, overplaying their goalies has easily cost them a handful more and not even having players that can produce on a nightly basis, well I don’t even know what that has amounted to. Just like that paranoid teen, you need to hit reset and start over. The parts work fine but restarting and assessing what went wrong can help put things in perspective so the fix can be applied. If the Canucks are going to start moving players and asking them to waive their NTCs, they shouldn’t just be going after picks but players that can help them NOW. I have been a big believer in admitting wrongdoing and moving on. There are a handful of mistakes the Canucks have made that they can at the very least, save whatever dignity is left of the situation and attempt to steer the team in the right direction. Whether it’s moving on from coach Willie D, pulling the trigger on trades that can breathe fresh life into the team, shipping off Virtanen or just no more Jayson Megna, there are fixes that we can accept. Gary Bettman would be wise to read that book on mistakes. Sticking by the Canucks gets tougher by the game and the only hope that seems to be keeping us focused on the future is in fact, the future itself. It’s really tough to say how the Canucks could botch this season any further but it will only be a matter of time before something else happens. Take a step back, see what you have and work with those pieces to move forward. There are some great players on this team that can become household names around the league but they need to be supported. It isn’t happening right now and it won’t happen unless immediate change is made. THE BOTTOM IS ABOUT TO FALL OUT!! Before you go and bury me for this opinion, think about what a playoff appearance would mean for this year’s Canucks squad. There is a point where the current version of Vancouver’s team needs to test what they have and figure out the next step. We have all seen how this team has changed even in the last 4 months and with the Canucks definitely not sinking to a 1st overall pick, they’ve shown enough that a top 10 pick might not be realistic either. It has been a topsy-turvy kind of year with a few decent winning streaks and a Debbie-downer 9 game debacle. Injuries have forced the Canucks hand yet again on both defense and up front which allowed us all to see Troy Stecher hit stardom and Philip Larsen fall to obscurity. Add to this Nikita Tryamkin’s progression as an everyday NHL defenseman and Markus Granlund’s seamless fit with Brandon Sutter and Loui Eriksson. As of Tuesday morning, the Canucks are in the “in the playoffs/missing the playoffs” talk for the immediate future. A win puts them in and a loss keeps them at bay for another night. The most important game of the season talk begins to heat up and out of nowhere, we stop talking about “team tank” or “fire Willie”. Making the playoffs is what Canucks fans know, it was all we knew for so long. Mainly, the making the playoffs phrase itself and not going very far reality. The team is getting prepared to be one of the 8 teams that make the postseason but it also has to accept that there needs to be some changes made. Getting swept by say, the Chicago Blackhawks isn’t fun but reigniting a pretty much dead rivalry is good for business and a great measuring stick for where this team is at. It would be fitting to begin the process again with those guys and get some animosity going. There won’t be any accidental upset type matchup happening for the Canucks so it will be a steep incline to push any series past 5 or 6 games. Drafting has been stronger in recent years, not keeping the Twitters at bay stronger, but Jim and his entourage have made some decent picks. Because of this, the current team has some expendable pieces and some pieces that are worth sticking it out for. Alex Burrows has found a second life and seeing Burr in the postseason again is worth getting there. He has the gift of clutch and it’s something you can’t really teach, you have to experience it. Players like Bo Horvat and Sven Baertschi could learn a lot by getting to the next stage. The entire defensive corps, save Edler and Tanev, really haven’t been truly battle-tested yet and the run to get to the playoffs and then to stay in them truly develops them into players that allow management to reach out for stars that can put them over the top. Clearly, Ryan Miller and Jacob Markstrom aren’t in a position to allow this team to lose without some significant subtractions on the blue line (5 defenseman doesn’t help) and their gameplay this season has actually changed the team’s fortunes slightly. Goaltending wasn’t supposed to be this strong of a point for the Canucks and it has allowed the team to take a few more chances. The way he operates this team on the ice sure is peculiar and again pointing to the Anton Rodin mess, the Jake Virtanen episode and honestly, why isn’t Loui Eriksson on the top line? It’s not just getting to the playoffs, it’s HOW you get there that determines a lot as well. It will take scoring from everyone, ok maybe a few lines, OK, probably just the Horvat line to get even close to making the playoffs. Expecting Henrik and Daniel to carry this team anymore is not fair, they need to start relinquishing control and Willie needs to put the statistical performers in a better position to succeed. This means getting Horvat’s line more ice even though it takes him out of the sweet spot, give Eriksson the proper opportunities to score his 30 goals and trusting that the players afforded to WD are there to stay so he needs to play them in important situations. True leaders know when to delegate and give up some control and the Sedins aren’t too proud to know their time is expiring as impact players. It’s the circle of life and it’s time to see the next Simba take the throne. I’m not sure if that Lion King reference was warranted but it’s there now so we have to live with it. What also has to happen for this team to have a shot at the playoffs is Willie D understanding the Sedins can’t be the go-to guys anymore. Their existence as 2 of the top 4 point getters on the team since Dec 1 doesn’t mean they should continue to be given every chance to stay at the top, it’s entirely likely that by slowly drifting to the second line that they stay as effective and actually allow the Erikssons, Horvats, Baertschis to take over this team without the abrupt official transition. This isn’t the AHL and I get that you don’t just play the young guys to give them experience but the team is moving on it has to embrace that it might be jussst good enough to take a bigger step. Do I think this team has turned a corner and they’re going to be world beaters? Not really. Losing right now will build the team as the years go on but there are picks that magically turn into all-stars that arrive in the rounds where you are basically throwing darts at a board. Pushing for the playoffs can turn the fan base around as well and with tickets at an all time low, the Canucks might not make it long enough to truly rebuild. How they’ve stuck around this long without just giving up is amazing. Vancouver wants to support a winner and even the fairweather fans want a championship deep down. We all believed once and it’s possible we can believe again. Maybe the Canucks just need to huddle inside of a dead bear and ride out the storm that is the Pacific division and ultimately the Western Conference until the dust settles and find out what it will take to make it to round one. One thing is for sure and that anything is possible in the new NHL. Columbus anyone? Take all of the crazy out of it and admit you want the Canucks in the playoffs. If it means Calgary and Edmonton don’t make it, I’m all for it.